Another day, another nail polish designs video! This time I am using my love of Harry Potter to good use, I was brought up on Harry Potter and am still a big fan. 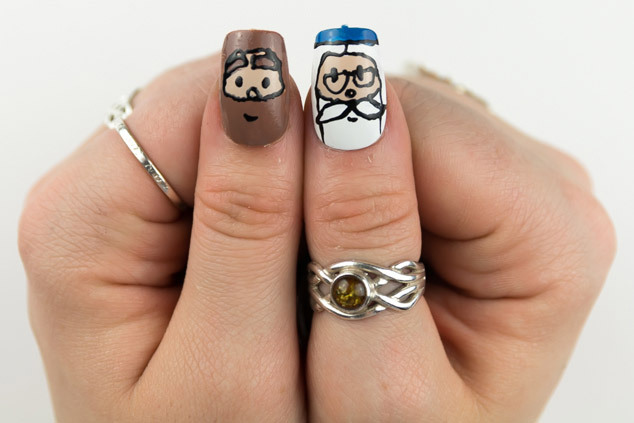 I love character nail art, it’s very fun and easy to do now with the readily available nail art pens. The characters I did in the video were the main cast, Harry, Ron, Hermione, Voldemort, Snape, Hagrid, Dumbledore, Ginny, Neville and Draco. I chose a really simplistic stylized look so you can recreate your other favourite characters that I didn’t do in similar ways. It isn’t the easiest of nail art to do, more an intermediate level than beginner but it is a long way from a hard nail art technique so have a go! 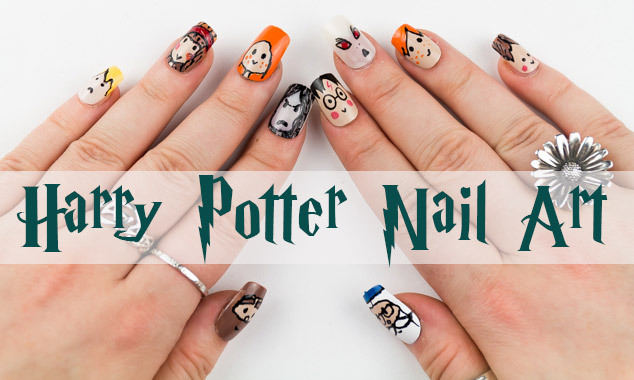 I really love how Harry, Voldemort and Dumbledore turned out, if you struggle maybe use a plain dark glitter polish on a few nails and only have a few character nails. I hope you are liking my nail art at the moment, please like my video and subscribe and let me see your results in the comments if you have a go! Let me know if there is a nail art you would like to see from me in the future.